Geoengineering and Climate Interventions: Too Risky or Needs More Research? At the American Association for the Advancement of Science (AAAS) meeting in San Jose in February, scientists from the US National Research Council released two high-profile reports on climate interventions and geoengineering techniques. The most thorough evaluation of its kind, this pair of studies assesses proposed climate intervention approaches including their cost, technological capacities, uncertainties, impacts, challenges, and risks. As the Earth and its inhabitants experience a changing climate nothing like any in recorded human history, and as concentrations of greenhouse gases in the atmosphere continue to rise, scientists are interested in considering all possible responses. The research committee consists of an impressive array of experts from a variety of institutions and universities, including Ken Caldeira (Carnegie Inst. for Science), Lynn Russell (Scripps Inst. of Oceanography) and David Titley (Penn State), and it is chaired by Marcia McNutt, editor-in-chief of Science and former director of the US Geological Survey, and they are informed by numerous analysts and staff. The National Academy of Sciences (NAS), the US intelligence community, NASA, NOAA, and the Dept. of Energy sponsored the studies. One can access both full reports and a 4-page summary at the NAS website. Through these reports, the committee makes three main recommendations and conclusions. First, the authors argue that there is no substitute for climate change mitigation and adaptation. 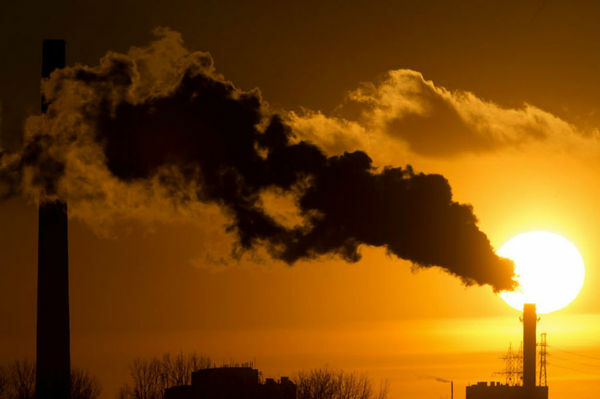 Second, they recommend research and development investment to improve methods of carbon dioxide removal and disposal at scales that would have a significant global climate impact. Third, they oppose deployment of albedo-modification techniques but recommend further research. 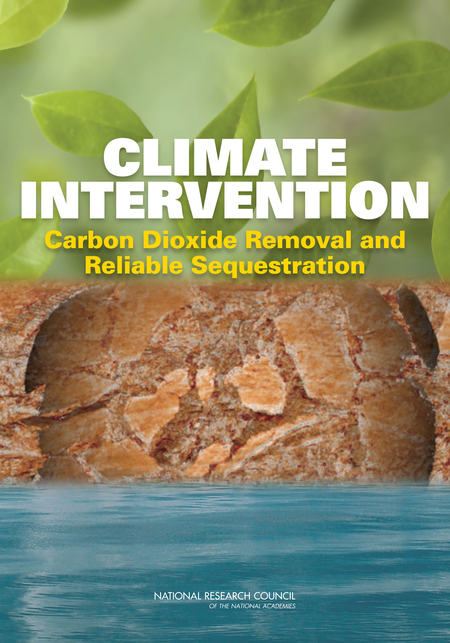 Carbon dioxide removal (CDR) strategies involve capturing carbon in the terrestrial biosphere or the ocean after it’s been emitted. These approaches are intended to mimic or accelerate processes that are already occurring as part of the natural carbon cycle. The authors consider five types of CDR techniques: land-management approaches such as forest restoration; accelerated weathering techniques (allowing the oceans to absorb more CO2 than normal); ocean iron fertilization (so that more microorganisms such as plankton consume CO2, like a “biological pump”); bioenergy (using biomass) followed by CO2 capture and sequestration; and direct air capture of carbon. Recommendation 2: The Committee recommends research and development investment to improve methods of carbon dioxide removal and disposal at scales that would have a global impact on reducing greenhouse warming, in particular to minimize energy and materials consumption, identify and quantify risks, lower costs, and develop reliable sequestration and monitoring. Albedo-modification techniques ignore the greenhouse gases and instead seek to avoid global warming by blocking the sun to prevent light from reaching the Earth’s surface. Such methods could lower average global temperatures in a couple years, like the effects of volcano eruptions, such as Mount Pinatubo in the Philippines in 1991. The authors mainly consider two methods for scattering sunlight: injecting millions of tons of aerosol-forming gases into the stratosphere; or marine cloud brightening, increasing the efficiency with which the ocean clouds reflect sunlight. They also briefly consider other techniques including: space-based methods, placing scatterers or reflectors in the atmosphere; and cirrus cloud modification, such that more long-wave radiation can flow up into space. Recommendation 3: Albedo modification at scales sufficient to alter climate should not be deployed at this time. It’s interesting that with the same pair of reports, journalists at different media outlets present the study’s results in a variety of ways, demonstrating the many perspectives with which people approach these issues. For example, journalists and editors at the New York Times, Los Angeles Times, Science, and National Geographic point to the need for more research, primarily on carbon dioxide removal techniques. On the other hand, Suzanne Goldenberg at The Guardian writes that the consideration of planetary-scale interventions shows how concerned scientists have become about advancing climate change, while Alexandra Witze at Nature writes about how these reports legitimize geoengineering, though many of the climate intervention approaches are deemed too risky. I would argue that most of these journalists describe the study correctly, but since the study has multiple recommendations that are somewhat at odds with each other and since the committee includes people with different views and backgrounds, it’s inevitable that some people would be more responsive to some aspects of the report over others. You may also be interested in critical responses by people blogging with the Union of Concerned Scientists and the National Association of Science Writers. Finally, I’ll end with my view of this study and of climate interventions. 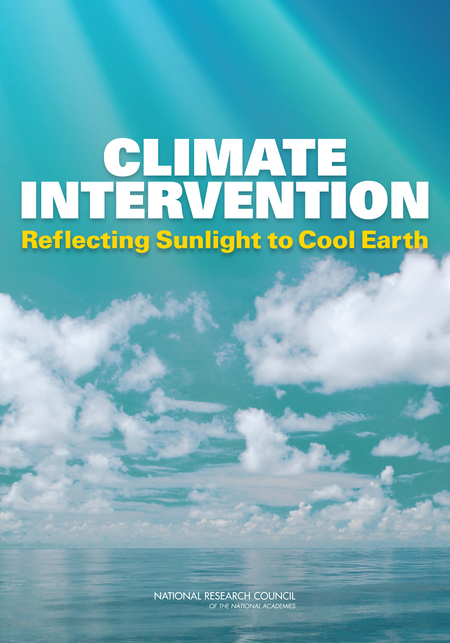 I’m not sure that the term “climate interventions” itself is an improvement over “geoengineering”: I think that the former amounts to re-branding the issue and that it sounds less serious. Make no mistake, what scientists consider in these reports are serious stuff indeed. And as some have mentioned before, such a scheme has been imagined before—by “The Simpsons” villain Mr. Burns. The study’s authors state that there is no substitute for climate mitigation and that we should focus on the root cause of climate change, which is the carbon dioxide in the Earth’s atmosphere. However, the carbon emissions are themselves caused by human society’s growing energy demand and the widespread use of fossil fuels: coal, oil, and gas. The authors point out that most geoengineering schemes are too risky, involve immature technologies, have high costs, and could have unknown consequences on a planet-wide scale. Is it really worthwhile to invest in more research of them? The only exception is forest restoration and other land management methods, which would help when combined with reduced carbon emissions, and I wouldn’t group them with these other carbon-capture climate interventions. I worry that this report would pave the way for wasting large investments of funding and effort researching these schemes, rather than focusing on the goal of slowing and eventually stopping climate change by transitioning to a low-carbon economy. Moreover, if people believe that a technological solution is possible in the distant future, they will not strive so hard to reduce carbon emissions today and will continue with business-as-usual. Above all, we should be focusing on expanding climate mitigation efforts. We should also work on climate adaptation, since the carbon already in the atmosphere will cause some warming in the coming decades no matter what.